The Ring Of Charos (a) is obtained from the Wise Old Man during the Garden of Tranquillity quest, and it is used to persuade many NPCs across the land to do your bidding. It is members only, and only works on a members world. If you somehow lose your ring, just pickpocket it again from Fenkenstrain in his castle in Morytania (or his basement on Harmony after the Great Brain Robbery). Allows passage into the Werewolf Agility Dungeon, home of Skullball and the werewolf 'fetch' game. Note: The regular Ring of Charos also allows this. Also, the boatman from In Search of the Myreque normally charges a fee for using his boat to sail to the Myreque's hideout; the ring grants you free passage out of Mort'ton. This also works during the quest. 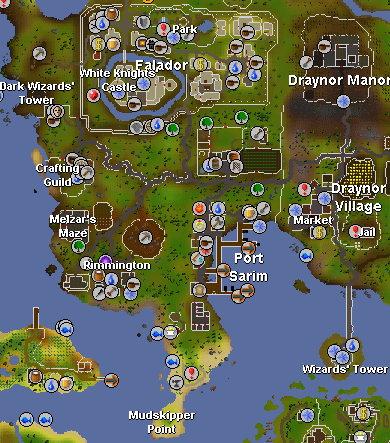 In Port Phasmatys, you can get a boat ride to Dragontooth Island for 10 ectotokens instead of 25. During Rum Deal you can get the 'other' 50% of 50% Luke's story with the ring. Free passage on and off Karamja at Port Sarim. You can also try to bribe the customs officer into letting you take karamja rum off the island, but you get so happy at your success that you drop the bottle in your excitement. In the quest Recipe for Disaster you must pay for the secret of making an Asgoldian Ale; with the ring the cost is nothing. Allows you to pick your color of kitten from Gertrude. 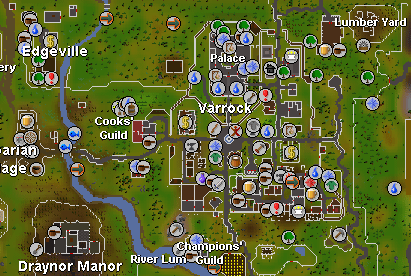 If you charm the fur trader in Varrock, he will pay you more for any furs you sell him. Usually, you will receive 12gp for Bear furs and 120gp for Grey Wolf Furs. After charming him, he will buy Bear furs for 20gp, and Gray Wolf Furs for 150gp each. 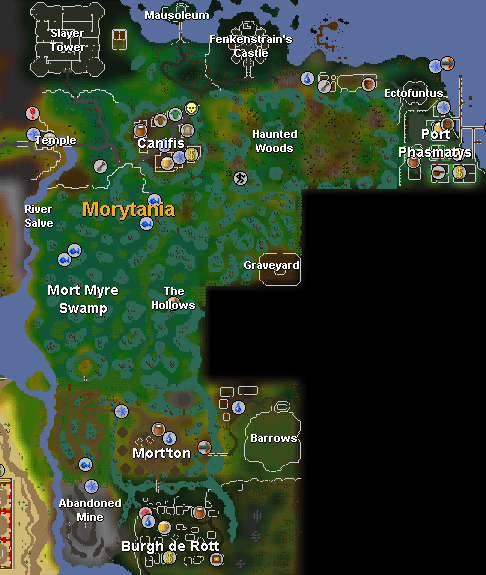 Free sailing between Brimhaven and Ardougne. During the Cold War quest, you can use the ring instead of a cod to make the Cod Addicted Penguin tell you the secret code-phrase (Don't trust the Walrus). Discounted carpet ride fares. 200gp is reduced to 100gp, and if you've finished building Ali Morrisane's store the discount is further reduced to 75gp. This is great for quick trips around the desert! During the quest Rat Catchers you can get a discount in your music lesson for the pipe. During the Rat Catchers quest, you can immediately persuade the Sanke Charmer in Pollnivneach to tell you how to drown hundreds of rats just with music for only 50gp, instead of using a long time trying to convince him to tell you for 100gp. Change your Fremennik name by talking to Brundt, the Chieftain of the Fremenniks, if you have one. Get the Fossegrimen to be convinced that a raw bass is actually a baby shark, thus enchanting your lyre. At the dwarven forge, you can get a discount for using the forge if your smithing is under level 60. The normal charge is 2,500gp, and with the ring it's 1,250gp for 10 minutes of usage. 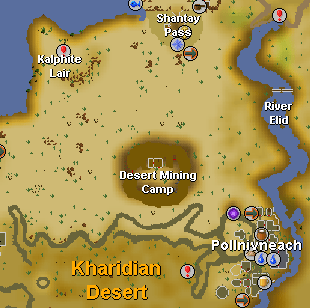 At the main entrance to Keldagrim, there are two boatmen who charge 2g to cross the river to the mining site. With the ring, its free passage! The boatman transporting gold to the bank from the Between a Rock quest gold mine normally charges a fee of 6 ores per full inventory of gold. With the ring, he only charges 3. The price of Charter Ships will be cut in half if you are wearing the ring while selecting a destination.